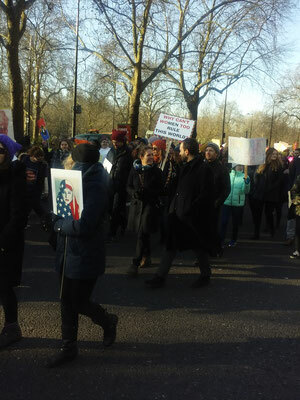 The Women’s Marches on 21 January marked the biggest global day of action for many years. 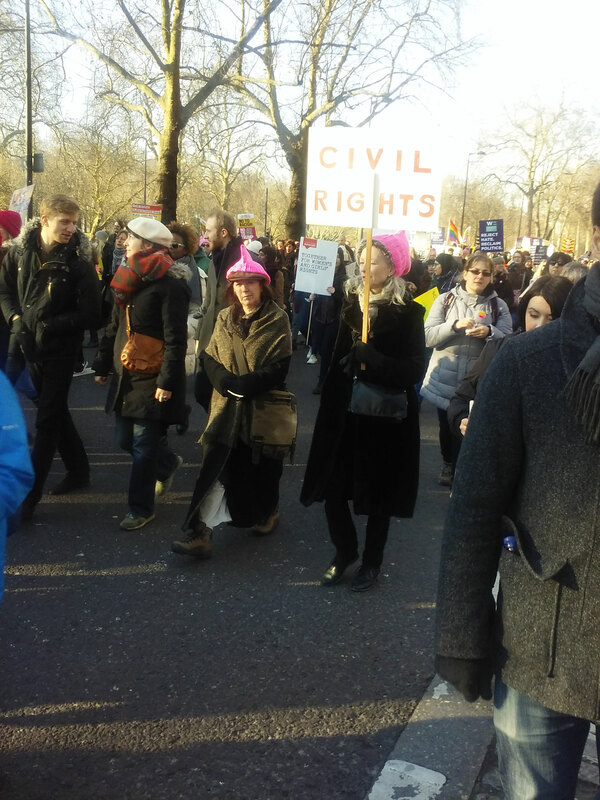 (1) Nearly 5 million people demonstrated against the inauguration of US President Donald Trump. 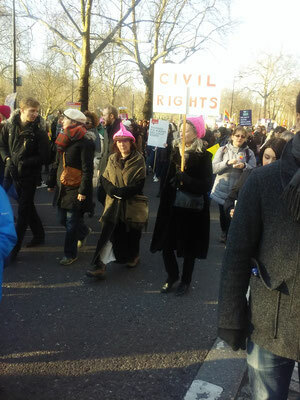 Naturally, the biggest contingent of demonstrators marched in the US itself, where according to estimations a combined total of 2 million people were on the streets in Washington, D.C., Chicago, Los Angeles, New York City, Seattle and many other cities. 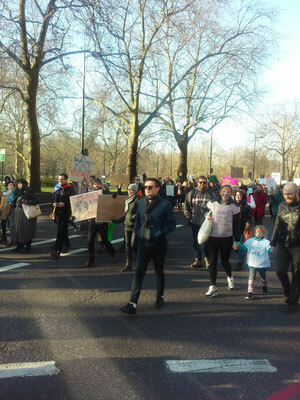 However, there were also numerous protests in Mexico, Canada, Europe and all other continents. Naturally, it would be wrong to ignore the weaknesses of this day of action. In many cases, the protests were organized by left-liberal or reformist forces. 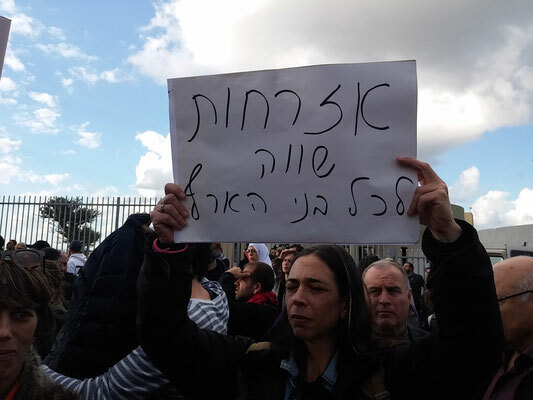 It will be crucial – as we stated in our call for this global day of action (3) – that socialist forces push for a consistent anti-imperialist and class struggle agenda. Nevertheless, the mass turnout on 21 January augers well for the coming mass struggles against the reactionary offensive of the ruling class. Comrades of the RCIT Britain participated in a particularly large march of about 100,000 people which completely stopped the traffic near the American Embassy in London! According to the comrades, this was one of the biggest marches since the anti-war mass demonstrations against the Iraq war in 2003/04. However, here too the demonstration was predominantly white and middle class in its social composition with very few migrants and people from the semi-colonial south present. 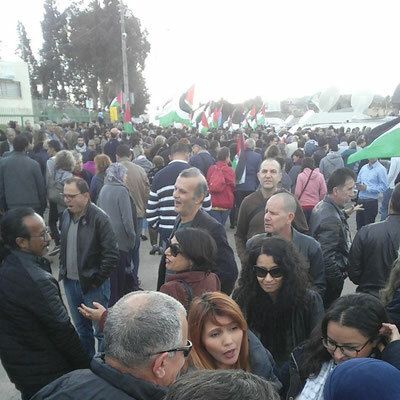 In Wadi Ara, comrades of the RCIT section in Israel / Occupied Palestine joined a demonstration of about 10,000 people. The demonstration was organized by the so-called Follow-Up Committee - the official leadership of 1948-Palestinians (i.e. those who are living inside the official borders of Israel). Not a single left-Zionist organization supported the demonstration. Hence nearly all of the participants were Palestinians. (1) The last big global day of action was on 15 February 2003 when 15-20 million people demonstrated against the impending attack of US imperialism against Iraq. 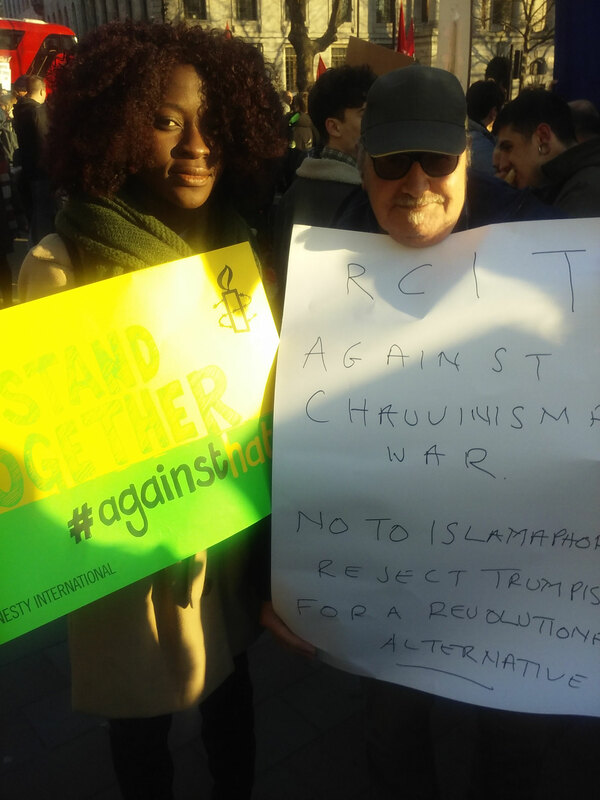 (5) RCIT: Urgent Call for Unity and a Joint Struggle on a Revolutionary Platform. An Open Letter to All Authentic Revolutionaries for an International Conference on the 100th Anniversary of the October Revolution to Advance the Building of a Revolutionary World Party, 09.01.2017, https://www.thecommunists.net/rcit/urgent-call-revolutionary-unity-1/. The RCIT has also published this Open Letter on its website in Spanish, Portuguese, German and Albanian language. Translations in additional languages will follow.